One of my friends, a dentist, told me one day that his son took him to buy a new car. He said he needed a pilot’s license to understand everything on the dash. So many of us rarely take advantage of the full potential of the computerized products we purchase. It is the same with the redemption Jesus Christ secured for us at the Cross. Jesus bled, hung, died, was buried and then resurrected from the dead to secure something for us. That something is called redemption. Biblical redemption is simply “to buy back.” According to the Holy Scriptures, our iniquity made us the property of Satan. But Jesus paid the price to buy us back with His life. He took us off of the auction block of sin’s slavery. We study the life of Jesus and we learn so much from Him about how to treat people, how to stand humbly in the face of adversity, how to love when people are unlovable. But then we stop at the cross when it comes to following His example of behavior and philosophy. The OT scriptures, looking toward the Christ and the Cross are prolific in their description of His life – His sorrows, His sufferings, His death, His sacrifice. All these were qualities of the Redeemer. All these were endured and exercised by the Redeemer in order to obtain something. That something was redemption. But if you want to see what redemption looks like, you have to move through the cross and follow Jesus the rest of the way. You have to move to the other side of the cross. So much of organized Christianity is still weeping at the cross. Mel Gibson’s The Passion was a masterpiece. I love it. I always said there needed to be a rated R movie about the crucifixion. But to only spend 90 seconds on the resurrection after all of that suffering? Not cool! The consciousness of man is fixed on the Christ who died, not on the Christ who lives. They are looking BACK on the Christ who died, not on the Christ who IS. He took on grief so we could come through ours with victory and hope. He bore our sickness so we could be healed. He became “poor” so that “through His poverty we might become rich.” He bore our sorrows so that we could be made glad. He gave His life as a sacrifice for our sins so that we could live righteously. On the other side of the cross we see the victory; not the suffering, not the humility and dejection and rejection. We see the victory! Walking toward the cross we see the suffering Savior, the man of sorrows, acquainted with grief or sickness. But on the other side, we see the living, triumphant, exultant Son of God ascending to the throne of God to sit in power and authority, having secured for you and me the thing He considered so worthy of His suffering – our redemption! Notice that he did not say, “As He WAS…”, rather, “as He IS, so are we.” Once we receive forgiveness at the Cross, our Heavenly Father desires for us to walk in the victory of Christ who is presently seated at His right hand in heavenly places. Saint Paul tells us in Ephesians 2 that we are presently seated there as well, in Christ Jesus. Coming to the Cross and staying in that sorrow as a Christian is like walking through the front door of your new mansion and never moving beyond the threshold. Some have been living the Christian life for years but have never seen the rest of the “house.” What a tragedy! There is healing, there is love, there is power over darkness, there is joy, there is authority. If Jesus walks in it, we can walk in it. Jesus paid the ultimate price to secure these things for us – for YOU. Don’t let it be in vain. If you are a follower of Jesus, then leave the elementary teachings of the cross, rise into resurrection and enter redemption. After all, Jesus did. Follow Him. Taking up your cross daily, as Jesus commanded, is not living in sorrow; it’s saying no to your selfish desires and yes to His plan of selfless obedience and victory for your life. Come to the Cross to receive forgiveness and then move through it into redemption! His Kingdom is yours today! 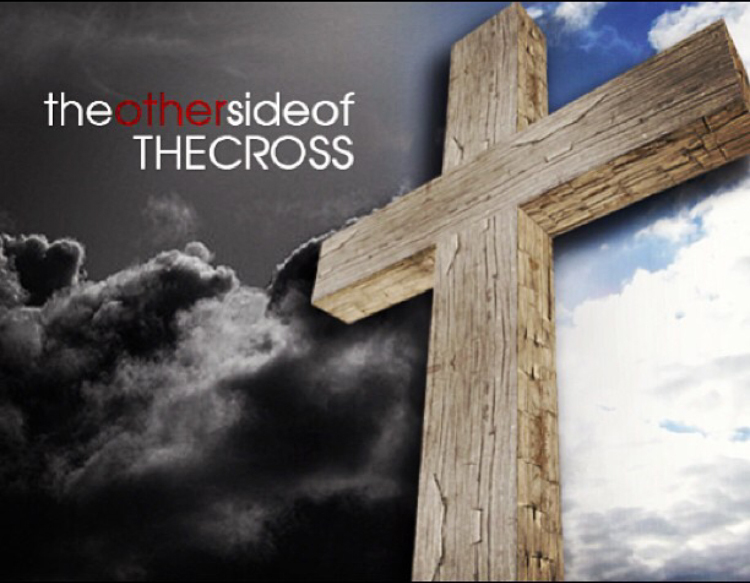 Welcome to the other side of the Cross! Happy Resurrection Sunday! That is a big eye opener for a lot of people. For god to die for us and and give us life and his forever love is amazing! The more people see that the happy life people will have. In Jesus name amen!